A cruise in Alaska brings such heart-thumping encounters as watching an icy-blue, house-sized chunk of glacier thunderously calve into a bay. 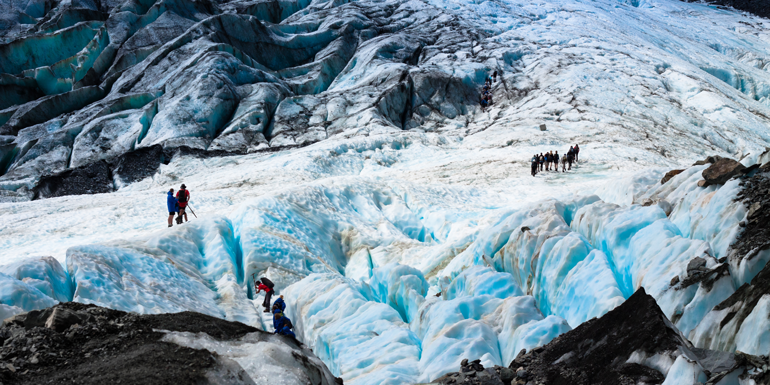 But glacier viewing is just the beginning of the "wow" experiences in the 49th state. Adventure seekers will find outrageous shore excursions that range from the sublime to the extreme — a common denominator being substantial bragging rights. Harness up and join mountain guides to traverse granite cliffs, carved smooth by retreating glaciers. There are more than a dozen climbing routes — some for first-timers and others for more experienced climbers. When you're not concentrating on your next step, keep your eyes open for views of the Skagway River, surrounding wilderness, and White Pass railroad, which will take some of your fellow cruisers up parts of the once arduous Trail of '98. Book now! Helicopter tours provide thrilling glacier views that you'll talk about for years. But then there’s the outrageous option of actually landing on a glacier, putting on crampons, and getting on the ice, hiking around astonishingly deep crevasses. It's beautiful and slightly terrifying: a close encounter with Mother Nature in all her icy glory. Plus, when else do you get to carry an ice pick? Book now! You won't find forests like these in the Caribbean. In a lot of ports, ziplining would be a No. 1 shore excursion for the adventurous cruise passenger. In Alaska, however, it's mild compared to, say, walking on a glacier. Still, you’ll find courses in several Alaskan ports where a certain amount of skill and concentration are required —and the views are amazing as you fly high in the rain forest. A favorite course is in Dyea, outside of Skagway, where challenges include 11 lines (the longest, 750 feet) and several suspension bridges, with waterfall views. Note: The world's longest zip line provides a quick thrill in Icy Strait Point, but in that case, it's a ride, not a challenge. Book now! In the annual Iditarod race from Anchorage to Nome, mushers are pulled on sleds by dog teams across nearly a thousand miles of frozen tundra, with little time to rest over the course of nine to 15 days — in winter. The race is for the hearty and slightly crazy. 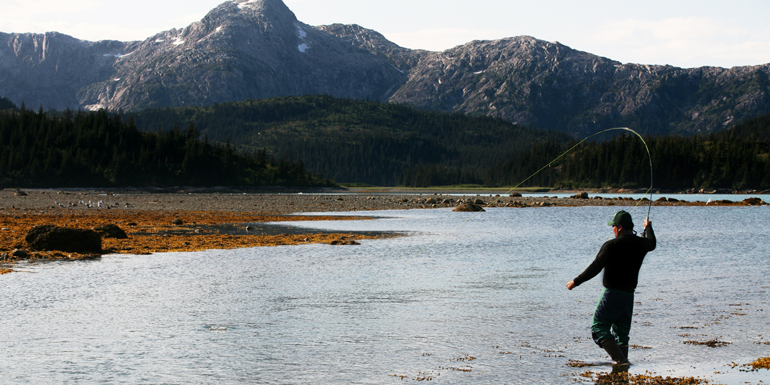 Fortunately, you don't need to be either to get a taste of the quintessential Alaskan sport. 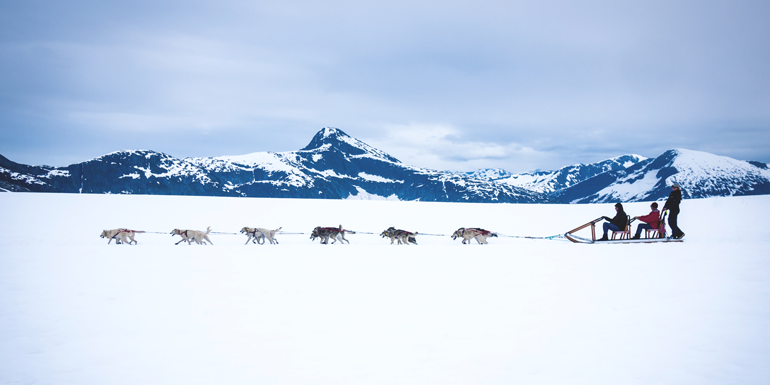 Your excursion begins with a scenic helicopter ride that lands you on top of an ice field, where you hang out with race champions and their dogs and try your hand at driving a team. Book now! Yes, the water is a little chilly. But snorkel in a wetsuit in Ketchikan or a dry suit in Sitka for an experience very different than what you get in the Caribbean and other warm climates. 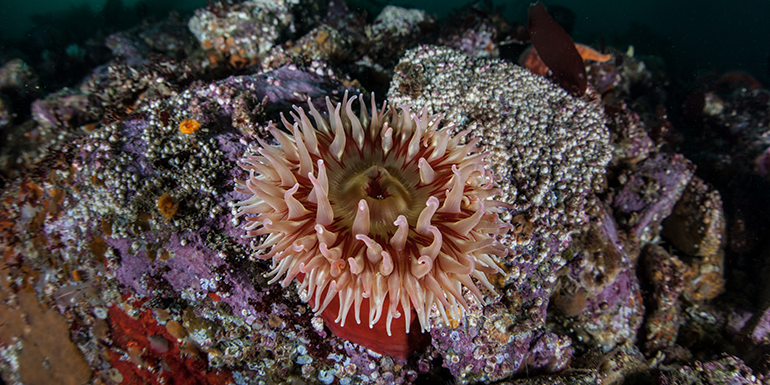 You'll find a colorful underwater world that includes bright purple starfish, bright pink sea anemone and fields of kelp, fluttering seductively like long blond hair in a fan. Through your mask, you may even spot a salmon or two. 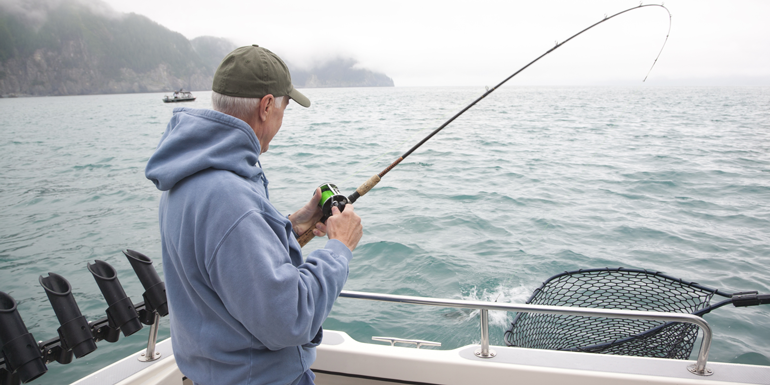 Southeast Alaska waters are so attractive to fish, even novice anglers stand a chance at reeling in a sizeable salmon — or halibut. Book passage on a small boat with an experienced captain who knows where to go, and try your luck at catching "the big one." You can have your fish flash-frozen or smoked and delivered to your home. Book now! Only in Alaska does the perfect day of fly-fishing come with unbelievable views of glaciers from a seaplane, exciting water landings, and a guide who carries a shotgun — just in case you encounter any grizzly bears. You head to a remote, uninhabited place and feel the cool water of a creek on your provided thigh-high waders as you cast for such species as Dolly Varden trout. Fly-fishing nirvana. 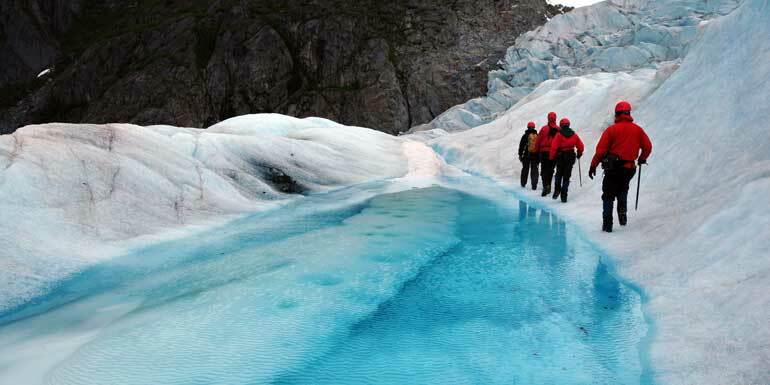 What's your favorite Alaskan shore excursion? We had a great time in Alaska last September. Unfortunately, the dog sledding excursion we booked was canceled. Next time we go we will definitely do that excursion. 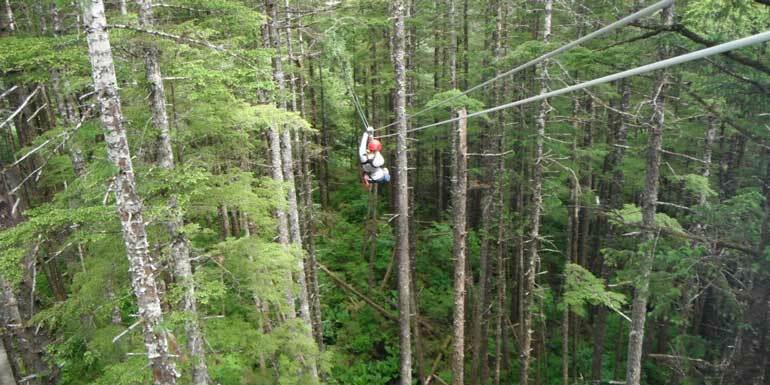 We also can't wait to try the zip line at Icy Strait Point! Add that to the bucket list. Looks like another Alaskan cruise is in order!